A few patches later and a few Match Engine changes have changed the playing field that is FM15. That means I have to change things around. Naturally Mahatma Gandhi said it first. You can always improve the things you do but this is about challenging the way you always think about things. Re-evaluate the things you have already evaluated. I am aware that I can be somewhat argumentative at times during casual conversations but I do try and see things from a new perspective. It’s often surprising to see what happens. Not a lot of new things formation-wise. It’s still a narrow 4-1-2-3-0, just because I feel that’s the formation best suited for overloading the central areas of the pitch. Compared to the earlier download I offered, a few things have changed role-wise. 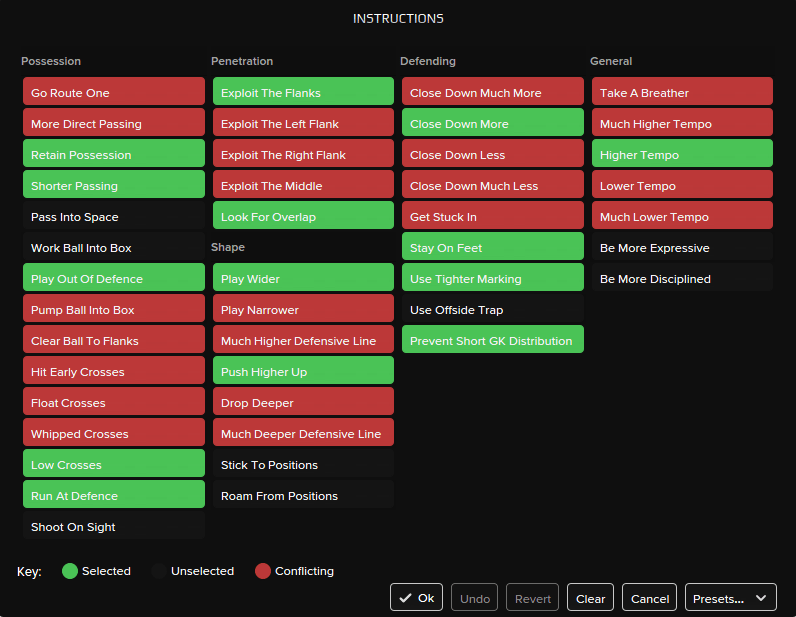 For starters, SI have created a new role in the Complete Wing-Back with a Support settings. Whereas my older tactic often got found out down the flanks during counter-attacks, I feel the support-setting for the Complete Wing-Back could offer the right compromise between attacking prowess and defensive stability. The player in the defensive midfield strata has also caused me to re-think my approach. So far, I have used either ball-winning midfielders or deep-lying playmakers in this position, either in defend or support roles. 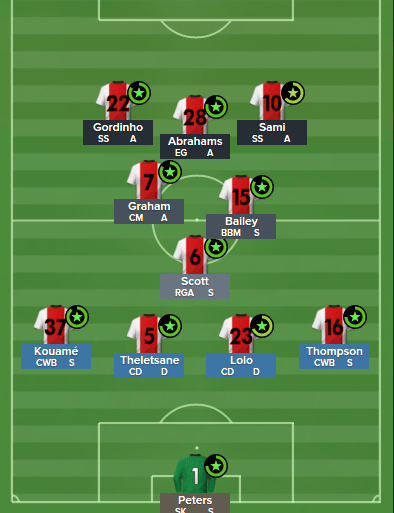 A brief experiment with the half-back was cancelled, simply because I need the defensive midfielder not to drop back, in order to form a sort of passing triangle into midfield. The Regista should help with the ball retention, as well as well as venturing into midfield to cover for the Central Winger’s forward runs. My test cases have been pretty positive, so I might as well release the tactic and let you all be the judge. I have removed the direct passing in favor for the old-skool short passing and ball retention. The direct passing, especially into space, just wasn’t working without a focal point upfront. The rest remains pretty much the same, so the counter-pressing is still there, as is the fluid movement. will try your tactic too – i was also having to use somebody back at DM with these new changes. I did know that El Gordo means “the fat one” in Spanish, after some lottery they have there. Didn’t know that, but that’s pretty funny. There is probably a fat Portuguese ancestor in that South Africans lineage haha. I will give this a blast with my Liverpool save that I’ve just started, really struggling defensively with my attacking flat 4-3-3-0 tactic that is set up a little like your original tactic. I shall give some feedback. Question, do you use any opposition instructions for tactics like the dreaded 4-2-3-1? I find they drag my players out of position. Also, how does so many specific roles and a very fluid system work? I thought the more specific roles you had the more structured the team shape to be. I don’t use opposition instructions. Regarding specialist roles, you are correct. In this case, I have two of these roles, the regista and the enganche, which isn’t too many I guess. Looking forward to trying this at some point, might switch Clapton to it! I guess it depends on what you perceive as a specialist role. I read somewhere the CWB and SS also fit into this category. Oh? I didn’t realise that. Got a link to that claim? I’m genuinely interested in that. I am sure you have read it before. It does put CWB and SS in the “your interpretation” bracket so yes your right, you have two specialist roles. All along I’ve been using Highly Structured. Drat. Do you exploit the central areas even more now that you have switched to exploit the flanks etc. Been trying this out on my Everton save. Converted mirillas and lukaku to ss’s and all though I lost lukaku for 4 months mirillas has 10goals 8 assists. Just approaching January in 1st season. Loaned serghi Roberto from barca and with him as the CMA and McCarthy as BBM the midfield has been excellent. A bit ropey at the back though, scored 2nd most in the league (41) but. Have conceded 31. I’ve actually been using the Regista role on a DM with your original formation because my defence had always been found wanting by long balls. But a Regista role sounds interesting, always thought of my DM dropping back with the eye for a killer, more-direct pass instead. Can’t wait to try this out! is there anyway to save tactics as .tac file? i tried but no luck. FMF files should be fine as long as you import them. I have some issues with the enganche. The enganche is not scoring, not even assisting and has ALWAYS the worth games notes. In this Strikerless 2.0 what position could I change the enganche for? If you want to switch it up, a Trequartista or AMC(s) or AMC(a) are three decent options.